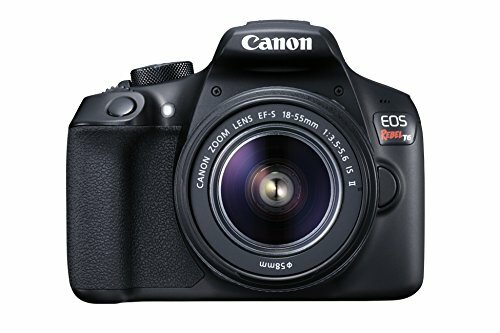 With all available camera models out there that are introduced to the market, some brands stood out among the rest and one of them is Canon. The brand also consists of a lot of models. Now, let’s focus on Canon T5i vs Canon T6. Both models have the APS-C of 332.3mm2, megapixels of 18.0, eye-level viewfinder, internal flash, HDMI out, Hot Shoe, and Bulb Shutter. However, neither of the cameras have focus peaking, built-in Bluetooth & GPS, in-camera panorama & image stabilization, top deck display, dual card slots, and many others. The camera comparison will be shown in the following tables and points to aid you in your decision-making on which model you will find more suited for your needs. The presence of tilt-swivel screen— when it comes to Canon T6 vs Canon T5i, the latter doesn’t have this feature. The function of this provides more flexibility for taking shots even in awkward angles. It is touchscreen—though the traditional cameras are not touchscreen, this feature will make the maneuvering much convenient and easy like how it is in phones. It has an external mic jack—a lot of users look for this attribute. It is used to connect the camera to the mic to attain better sound quality. The camera has an on-sensor phase detect—live view and AF performance improve with such feature. Cross-type AF points are provided—in comparison to the Canon T6, this model has nine and that will improve its autofocus performance. Canon T5i has a higher extended ISO—with the staggering 25600 as compared to T6’s 12800, this gives better low-light flexibility. It is less expensive—there is a hundred dollar difference. This model has a faster start-up—with the T6 having a 0.50 and the T5i with 7-second differences, this model will let you catch the moment faster. NFC is provided—such feature makes connecting to devices easier and more convenient. Built-in WiFi is included—this entails wireless photo or video sharing. The Canon T6 model is newer—it means that this camera will then include more advanced features for you to enjoy. 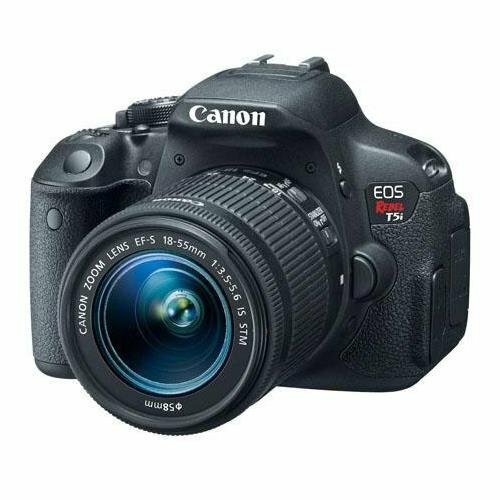 The Canon T6 is one of the most affordable entry-level DSLR that has good key features in store. There is definitely easier handling in terms of connectivity here as compared to the T5i. However, the T5i has a whole lot of features that makes it a real deal especially with its improved lens.